Collectors who got shut out on the initial offering have an opportunity to pick up a set this morning (August 3). The popular item, which has a product limit of 225,000 and no household order limit, went into “currently unavailable” status (and presumably sold out) in under seven minutes on their release day, August 1. Now that order reconciliations (i.e., cancellations, incorrect credit-card information on orders, etc.) have been processed, another batch of sets is available. Thanks for the info. picked up 5 sets. Wow, that was a break for me too I have a complete kennedy set and need to grade a few. Ya all those re sellers on ebay are gonna lose their a$$’s, some guys were getting 79 bucks and some people were buying. What was funny to me was that some guys were asking 100 bucks for 1st day, lol they are all 1st day. I was shocked that people would think 225,000.00 would be a small run. A 5 oz ATB of 15,000.00 would be a small run. Unbelievable, that is 60 bucks a set, I just bought 2 sets for under 60 bucks. LOL, I hope all these guys lose big time. Look at the completed sales of the Sets on Ebay….some guys made some good bank! $2000 profit off of $2995.00 is pretty awesome! Yep, Gary Not Dave says and because of the MORONS who run the mint, a lot of buyers are gonna get screwed and some will never buy coins again. This kinda crap by the mint not only hurts the mint itself, but it really hurts the buying public. I have said this many times, the mint is run by our government and the , government only cares about getting votes and lining their pockets with cash, they don’t care who they hurt. Sounds like a cartel doesn’t it. Let me run the show and all the back door crap would stop along with this kinda crap. I wonder how many buyers who got screwed on ebay are gonna try and stop their purchase, hell the mint doesn’t care about these people. Because it happens EVERY YEAR…..
LOL. I’m out of the old game as a buyer/victim. The new game I’m into, reminds me of the old Roman Game of throwing Christians to Lions. The fans would get their jollies watching people get mauled by Lions? Really weird way to get amusement. I got in on the 1st when these sets went on sale and got one. Just happened to return to the Mint site this morning Aug 4th at 0415 PST out of curiosity and saw them available again so I bought one more. Hard to believe they had enough available for 24 hours. Didn’t see this info anywhere, just stumbled upon it. The Mint never sent me the “Remind Me” notification when they were available again but they sent one to me on the 3rd to let me know they went on sale on the 1st ! I personally got 10 for myself from the first round of sales…I don’t think anyone will get hurt with 225k mintage. Except for the guys who bought them off Ebay. I am most excited about the Nickel. We haven’t had anything special for the Jeff Nickel except for maybe the Bison of 2005. Very few left mint says!! Mike where did you find that?? I looked all over their site. Gary Not Dave says, 225,000.00 is a pretty big run, this would not be a good set to buy if you are in this for a medium term investment, but then again in 50 years it might be worth 50 bucks (inflation ?). I buy because I am a hobbyist. Gary, there were two matte finish nickels in the 90s. Lower mintage than this set. There has been plenty of these available for at least the last 2 or 3 days from the Mint. I think that a lot of the people that hogged most of the sets on the first day have since cancelled portions of their orders after realizing that they aren’t going to be the gold mine they thought they were going to be. I agree with you Jess, I buy as a hobbyist and have been since the 1960’s. Future value doesn’t really matter as I will more than likely be dead when they are sold. I purchased 10 sets so I can have some to keep some to trade with friends and some to give away. Saw an interview with a reporter and a Mint representative at the ANA show and the Mint employee said most cancelations of the sets were because of credit card or other ordering problems. He also said that one order that was canceled was from a dealer and it was for 20,000 sets. That’s probably why they’ve been available for the last 3 days. Still available from the Mint 5 days after the release on the 1st ? Where they claimed they weren’t available after 6 or 7 minutes after they went on sale ? I think we all got worked. Someone is playing games here. What a disaster. Still available and still no accounting from the Mint. The Mint may offer 1804 Dollars again soon, like in the next 5 years to pull in new orders for stuff. I already got 5 ’13 V-Nickels so I don’t need more of those. A 1793 Dollar might be cool though. case. Am I the only one. Sent sets back. They finally sold out today. I see the re sellers are having a hard time selling these 4 much more than they paid. I love seeing these guys lose money. 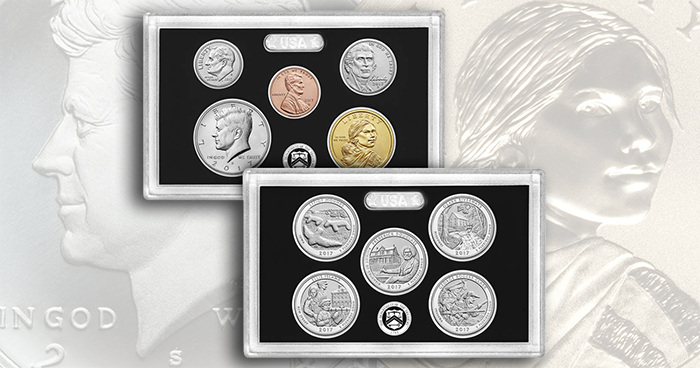 I don’t want to kick a ” guy ” while he’s down, but to date, Sept.20th, the standard uncirculated coin set has out sold the enhanced uncirculated set by a large margin. Just say’in… I think it’s funny that no one seems to want these anymore after the huge buying frenzy on the the 1st of August. Personally, I can’t tell the difference of the finishes between the two sets.